The 9 Best Educational Activities for Children in West Virginia! West Virginia has some of the most amazing resources anywhere in the country, but one of the most precious resources is our children. Investing in young people through the learning activities presented below gives the opportunity for families to create good memories, builds the knowledge of the culture, landscape, history, and agriculture of the Mountain State. Here are the 9 best educational activities for children in the state. Inside the 240,000-square-foot Clay Center for the Arts & Sciences in Charleston, West Virginia, the Avampato Discovery Museum holds exciting mysteries waiting to be discovered for guests from one to 100. Opened in 2003, the center provides handicapped accessible fun and educational opportunities year-round, and is only one of a few buildings in the country that include performing arts, visual arts, and sciences in the same place. Seeking to inspire a love of learning and creative exploration, everyone is welcome at the Center and military families can visit for free. If instilling a love of the outdoors is a goal for your family, then you want to visit the West Virginia State Wildlife Center in French Creek, West Virginia. Run by the West Virginia Division of Natural Resources, visitors can walk along well-maintained trails and see animals and birds native to the Mountain State like black bears, raccoons, wolves, and mountain lions. There’s even a wheelchair-accessible trail that winds over a mile through part of the forest. Picnic tables and grills are available and there’s a pond stocked with various kinds of fish. Open year-round, the center is a bargain for the low cost of admission. 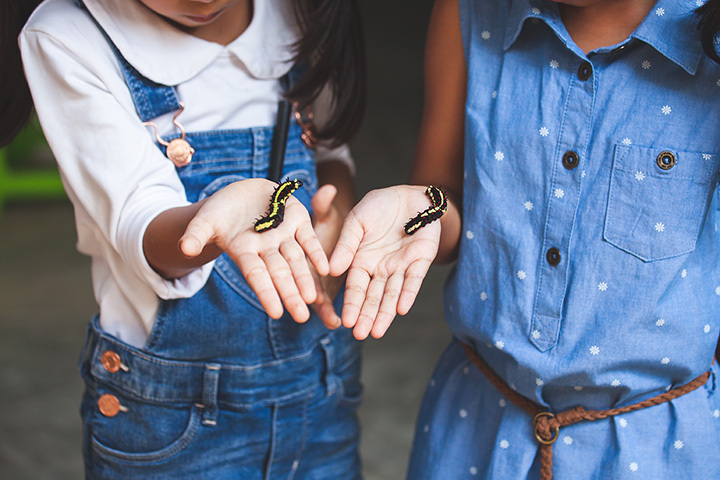 Established in memory of a young boy, the Good Zoo is a self-sustaining zoological park that offers recreational and educational activities and programs that build awareness and a love for conservation. Part of Oglebay Resort in Wheeling, West Virginia, the Good Zoo was the first naturalist area built from donations and family memberships and covers 32 acres, has over 50 species including endangered animals and birds, includes a 1.5-mile train ride, a petting farm, the state’s larger model train display, an indoor Discovery Lab, and science programs and laser shows in the Benedum Theater on site. Lions and tigers and bears aren’t just animals from “The Wizard of Oz.” Visitors at Hovatter’s Wildlife Zoo in Kingwood, West Virginia, can see and learn about these and over 30 different varieties of native and exotic animals like chimpanzees, baboons, leopards, and lemurs. Over half of the animals on site can be fed, giving a unique opportunity to be up close and personal with them. Open for over 25 years, visitors can take photos or have their picture taken with some of the animals and the memories built here will last a lifetime. Every year for the past 20 years, WVU’s Davis College of Agriculture offers Kiddie Days at the Animal Sciences Farm in Morgantown, West Virginia. This working farm is home to dairy cows, beef cattle, hogs, sheep, chickens, turkeys, grouse, and more, and gives parents and children the chance to see a working farm in action. Older visitors can learn about the latest agricultural techniques and develop a better understanding of food production. Admission is only $2 per person with tours daily on the hour. Established in 1992, PIGS Animal Sanctuary in Shepherdstown, West Virginia, is home to as many as 500 pigs that have been abused, neglected, or abandoned. Other farm animals make the sanctuary home, too, and adoptive families are always needed. Educational tours are available twice a month between April and October by calling ahead, and proceeds from merchandise sales on site and online goes back to the care of these animals. Coal mining has played an important part of West Virginia’s history, and being able to take a tour down 1,500 feet of restored passageways on vintage tracks provides a unique opportunity for adults and children. First opened in 1889, the Phillips-Sprague Mine ceased operations in the early 1950s and opened for public tours in 2008 with the purpose of preserving and educating visitors on the state’s coal history. The Youth Museum, located nearby, offers a main exhibit and changing exhibits throughout the year. Make sure to bring a sweater or jacket for the tour since the underground temperature is a cool 58 degrees year-round. Take a ride on one of the only remaining original Shay locomotives at Cass Scenic Railroad in Cass, West Virginia. Stop by and listen to the live history presentation at Whitaker Station and see the diorama of what the town of Cass looked like when it was an active timber town. Restored company houses are available for rent and will provide your family the chance to see what life in a lumber town was like. The railroad was built in 1901 to bring felled trees down the mountain where they could be floated downstream on Leatherbark Creek to the mill for processing. Take the short trip partway up the mountain, or make it a picnic on the longer ride up to Bald Knob. Bring warm clothing for the trip, and don’t forget your camera. In today’s world of video games, television, and other entertainment technology, children may not realize that play doesn’t have to have electricity to work. What better way to educate and spark their imagination than by visiting the Kruger Street Toy & Train Museum in Wheeling, West Virginia. The building itself is fascinating with tin ceilings and red pine woodworking and was used as an elementary school for over 50 years. There are toys from various time periods and special rooms that display unique collections, like the Doll Room that has popular dolls and doll houses, the Miniatures Room and Transportation Room, with displays of soldiers, cars, trucks, and airplanes, and the Game Room that features a mix of games from the 1900’s to present day.